GYC France is over. Though it was a small conference (around 160-180 people) God has really blessed again. We were so blessed to meet young people from all over Europe who seek God with all their hearts. We could see God's Spirit poured out in a great measure and this is enough to makes us more than happy. GJC leadership was also really supportive and we were happy to see many of them come to the prayer room even though they were just a handful of people and had so many responsabilities on their shoulders. We saw many lives changed, many people who were broken before the Lord and who found peace and happiness because of united prayer. There were people who came to the prayer room and who were looking for a purpose in life. 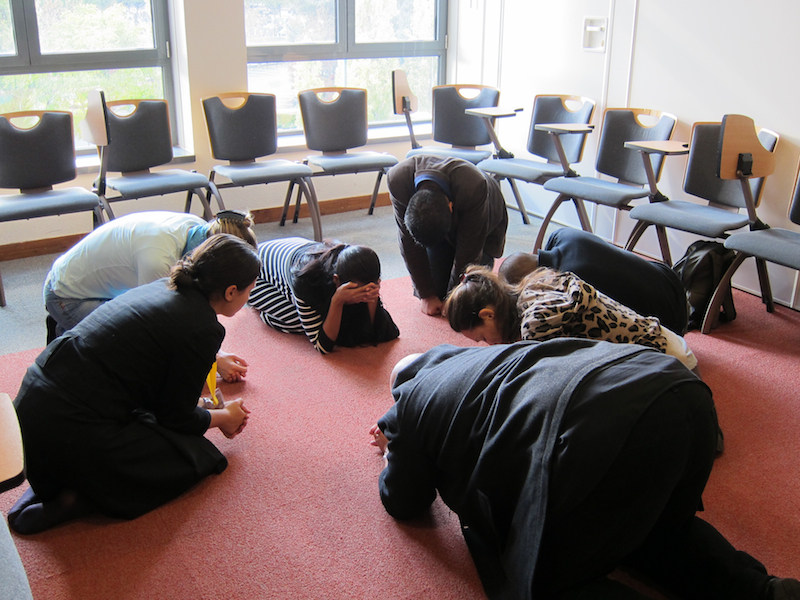 Others came to pray because they wanted to understand how they can serve God at their best. Others came looking for peace. We even had somebody come and pray because he found it hard to believe that God exists. Many people came and cried before the Lord because they sensed their need for Him. 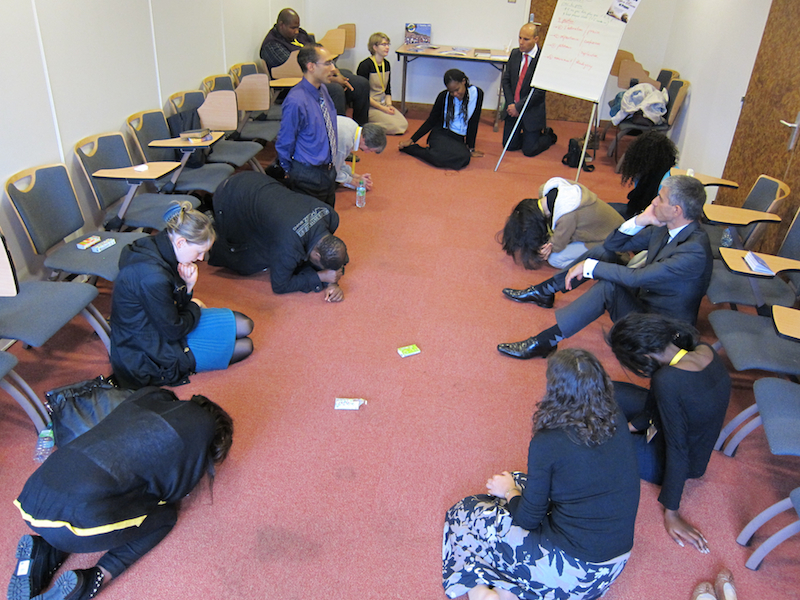 We had many people come to us with tears in their eyes to thank us for bringing united prayer to GYC France. 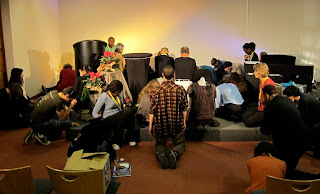 An elderly lady from Clermont-Ferrand, the town where GYC took place, told us that she prayed for a long time for revival and when she received the letter that GYC is going to take place in her town, she praised God because she knew that this is the answer. She was also recently elected as the prayer leader and she is determined to take united prayer to her church which is quite small (20-30 members). The more I travel, the more I realize that there are so many people who are searching for God with all their hearts and I feel so blessed to be able to meet such people. God had also a wonderful surprize for us at the end of the convention, when we least expected it. The last day the devotional was held by Jonathan Zita. He preached with so much power. Everyone could feel God's presence there. After his altar call and after the prayer, one of the GYC leaders suggested that those who want could fast for breakfast so that we could have a season of united prayer. We did not expect to have another season of united prayer, but God opened the door for us and this was the most wonderful moment from the entire convention. Though a lot of people left on Sunday evening and there were only around 70-80 people left, we were so surprised to see around 30 people who stayed behind to seal their decision with prayer. I really appreciate that Jonathan Zita, Jeffery Rosario, Daniel Pel and his wife (all GYC speakers) and some of the GYC leaders who joined us for this season of united prayer. There were not too many dry eyes in the room as we all poured out our hearts before God. I told the leaders of GYC France that if it was only for this devotional and season of united prayer and GYC was worth the effort and all their sleepless nights. It was simply beautiful to feel the presence of the Holy Spirit. I thought that most of the attendees will be from France, but it turned out that only 60-70 % were from France. The rest were from Switzerland, Holland, Norway, Germany, England, Portugal. Isn't that wonderful? And what is even more wonderful is that a lot of them are determined to take united prayer back to their countries. Some young people from Holland are going to have a youth conference this very next weekend and they want to have united prayer and a prayer room. A leader from GYC Portugal (that is going to take place in February) is also determined to talk to the rest of the team and have united prayer at GYC Portugal. 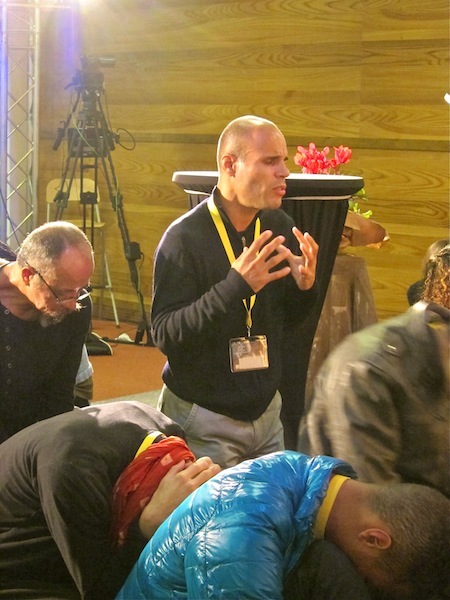 Daniel Pel, a young evangelist and one of the speakers who is also teacher for Matteson Mission School and European Bible Institute was happy to discover the power of united prayer and wants to take it wherever he goes. Jonathan Zita said that he will take united prayer back to Canada to his canvassing program. We praise God for all this dedicated leaders who understand the need for united prayer. So, what else can I say... 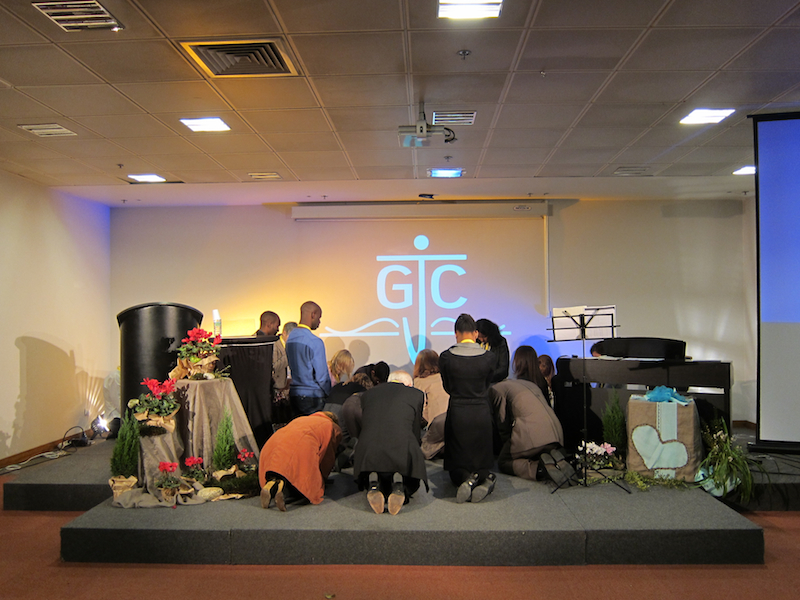 I feel that words are not enough to describe how much God has blessed at GYC France. Every one agreed that this was a spirit filled youth conferece. And I guess this says it all. Hi Raluca, thank you for your comment on my blog - I'm glad that I found yours! May the Lord continue to bless and guide you. Thank you Racula for coming at GJC France congress, and for sharing that blessing here. We were very blessed and prayer change lives. I have a question : could we use some thing from your report here for the GJC newsletter ? May God continue to bless you and ARME. Sure, go ahead and use it! BTW, if you have any feedback related to the prayer room, please let me know. It would be interesting to hear more of the experience people had in the prayer room.